The euro was able to move off its two week lows on Monday, while equities in Europe and crude oil remained at their monthly highs. Developments politically in parts of Europe have investors worried and could offset signs of increased world trade. Nevertheless, there are no major drivers at present in the economy and trading remained light on Monday thanks to most of the financial markets in Asia being shut down for the Lunar New Year. 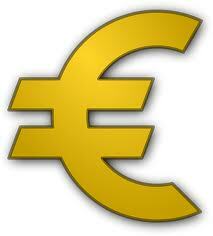 Currently, the biggest interest is on the meeting later this week of finance ministers from the euro zone. For many analysts this particular finance ministers’ meeting will most likely not create anything important. However, following last week’s comments from the president of the European Central Bank, Mario Draghi, over the increase in the value of the euro, there is renewed interest in the meeting to see if the ministers discuss the currency’s recent strength. Tensions between Germany and France, political scandals in both Italy and Spain and renewed worry over a Cyprus bailout have all weighed on recent sentiments that have been positive towards Europe’s assets since the beginning of this year. Draghi’s comments have helped give a shift to the euro’s recent strength, as he said that financial leaders might be forced to cut interest rates if the euro continued gaining strength. There is increasing concerns throughout world financial markets that a currency war is possible, as major trading nations try to increase their exports’ competitiveness. Venezuela devalued its own currency by 32% on Friday. Manning & Napier Group LLC Lowers Position in Philip Morris International Inc.